We are working on developing a VR game. The theme is odd wild west / sci-fi clash, with digital dna based evolving enemies. 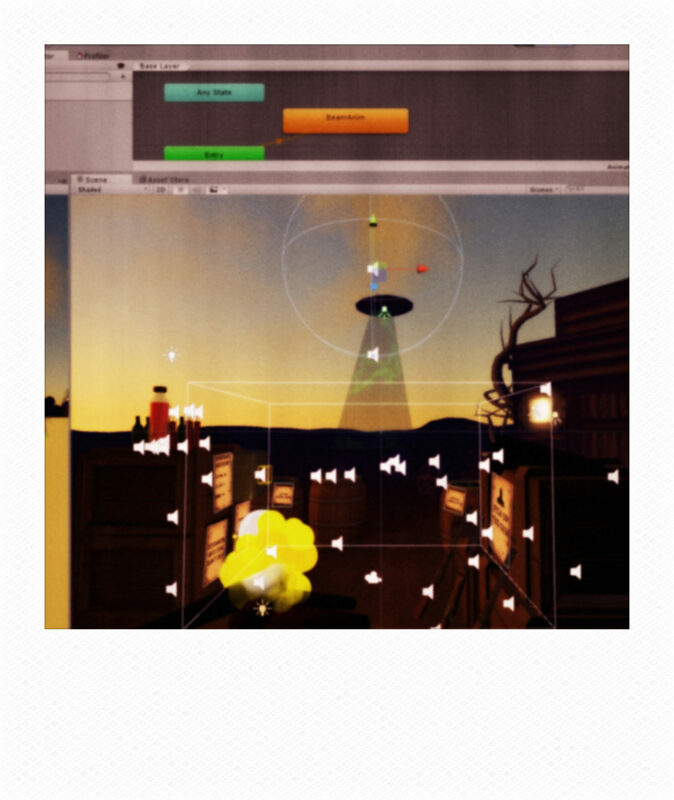 To win the level you have to bring down that big bad UFO circling in the sky above. But it is no easy task, because the ship has a shield that deflects all your bullets. But there is a way: When a wave is defeated, the mothership becomes vulnerable for a short while. So when you take out that last drone, you better hurry and get your guns cooled down for those precious moments.